Founded in 1978 with a passion for designing beautiful children’s giftware, Kate Finn continues to provide highly sought after items each year. Building an ever-lasting and constantly changing collection of children’s products has led to a large following of collectors and appreciators alike. 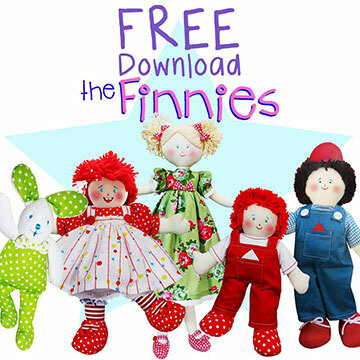 Through over 39 years of experience in creating these stunning collectible rag dolls, Kate Finn has developed a reputation as one of Australia’s leading Rag Doll designers. Through years of creation, the quality of each rag doll has reached new heights. With the ability to machine wash the dolls clothes as well as gently wash some of the bodies, these items now survive even longer than ever before. Choosing an item from the Kate Finn collection not only allows you the chance to share a part of Australian doll history, but also provides you with a fantastic heirloom to pass on to your children. Pauline Dolls are some of the most famous porcelain collections the world and Australia has ever seen. Kate Finn offers these Limited Edition items for sale from her own personal collection. As these are from a personal selection, there is only one doll available of each type displayed. Browse the selection and purchase a piece of history for your home. The rag dolls by Kate Finn are of the highest quality and are often described as heirloom quality. Stitched to perfection and designed with soft, long-lasting materials, these items are created with children in mind. Buttons, bows and satin ribbons are all stitched securely to ensure that the safety of Kate Finn products is premium! The Kate Finn range of baby toys are ideal for your new little ones. Soft materials, delicate satin ribbons and cute rattles and squeakers are all included to create a perfect toy for your baby. Promoting safe play and curiosity, these items are ideal for your grandchildren or children as their very first toy. 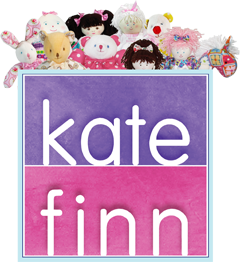 All of Kate Finn's Baby Toys, Rag Dolls and Golliwogs are available in Australia. Our online store ships all over the globe and allows you to browse and select any item for your collection so add a Rag Doll from our collection to yours today. Email us at order@katefinn.com.au to find out more about any of our stunning products.